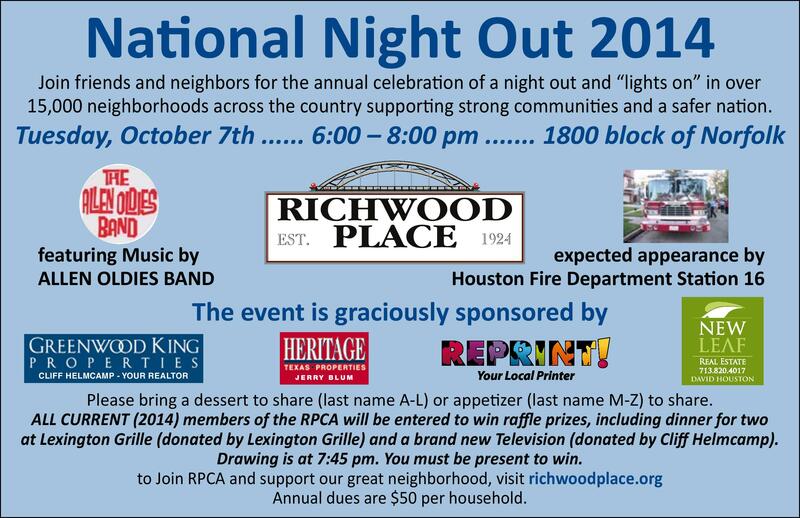 Texas celebrates National Night Out in October again this year this coming Tuesday, October 1. 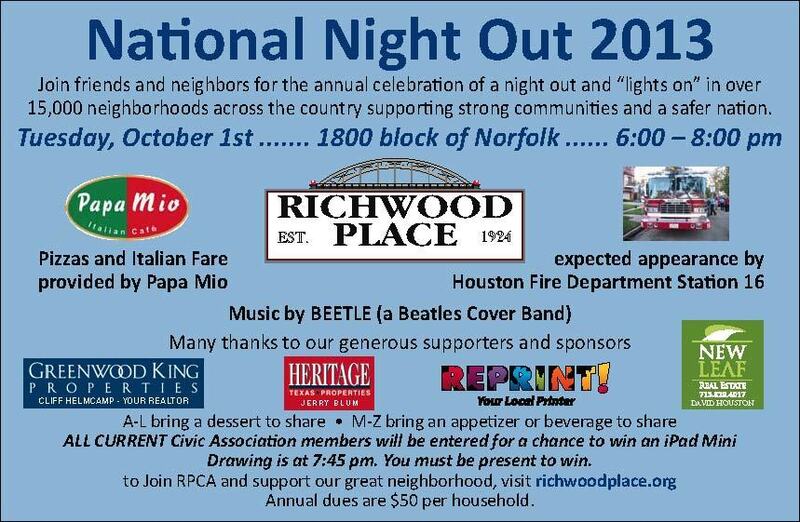 And, Richwood Place is having a party in the 1800 block of Norfolk from 6-8pm. Details on the card below. You should also receive one in your mailbox by the end of the week. Plan to come out…dance…eat…meet your neighbors and enjoy a good time. 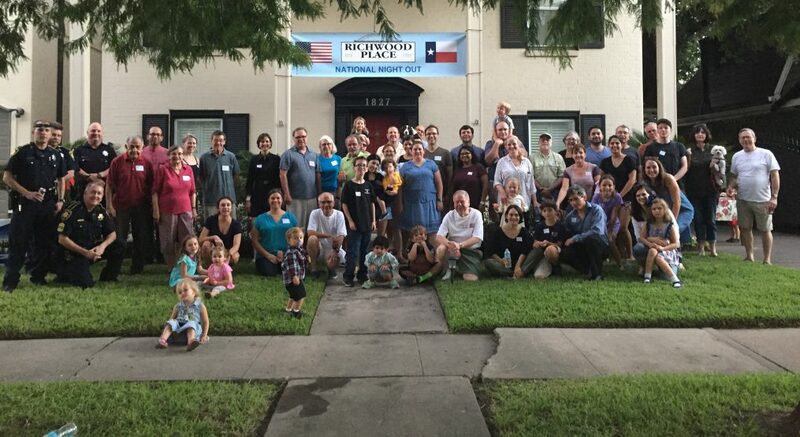 Please say a big thanks to our neighborhood sponsors: Papa Mio, Cliff Helmcamp (GREENWOOD KING PROPERTIES ), Jerry Blum (HERITAGE TEXAS PROPERTIES), REPRINT!, David Houston (NEW LEAF REAL ESTATE) and the Richwood Place Civic Association.